As human beings, we have been searching for our origins and the meaning of life since the moment of our existence on Earth. Still, nearly 200,000 years later and more scientifically developed than ever, the meaning of life and how we came to live on this planet is still one of science's biggest mysteries. How did mammals take such a large leap in the theory of evolution from the brain of a great ape animal, to that of a human being? And, in 200,000 more or less years, will creatures superior to humans evolve? Maybe they already have...on another planet. These more evolved creatures would be highly capable of developing superior technology and performing experiments on humans just as we have developed in technology and perform experiments on animals and each other. This is just one of my own theories based on the pattern and history of intelligent life forms. I want to share with you a few other theories to entertain. Not all mine, but these theories are shared amongst the open minded. One of them being that humans are the missing link between extraterrestrials and great apes. Picture this: Around nine million years ago, aliens came to Earth to perform scientific DNA modification experiments with mammals using ape DNA in particular. They mixed their alien DNA with great ape DNA and created the gigantopithecus. But, the gigantopithecus was soon left to extinction after the alien's human race was perfected. Few gigantopithecus might have survived their extinction and live quietly today in mountainous regions. Sightings of a surviving gigantopithecus have lead to the creature's nickname, Bigfoot, due to its 8 foot tall frame. Now, if that theory sounds interesting to you; start the video below at [0:30:00] and listen to reporter Linda Mouton Howe talk about her knowledge of government documents signifying alien manipulation of DNA to create homo sapiens and the knowledge of Bigfoots living underground. 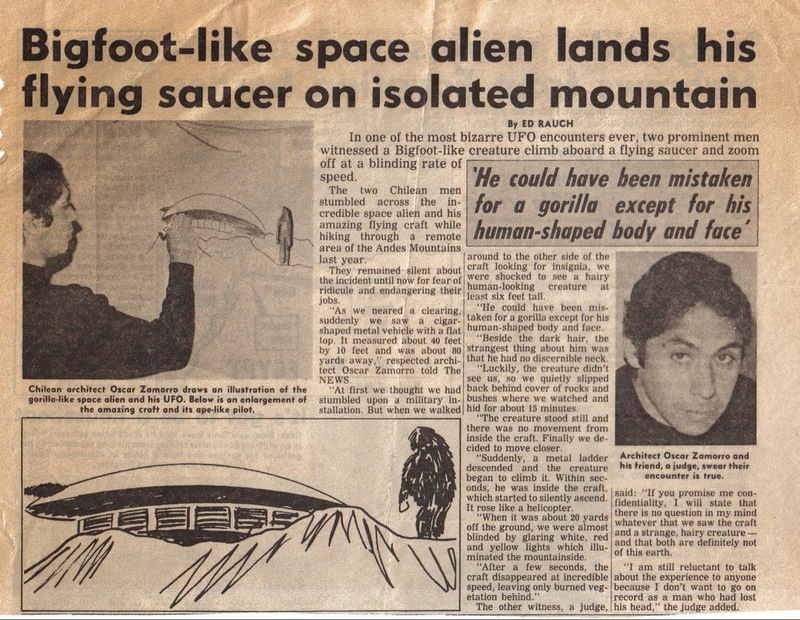 Also, the confession from a Bigfoot eyewitness who claims to have basically watched a Bigfoot step out of a UFO! 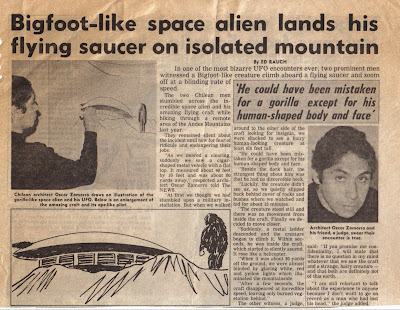 I also found this article about two Chilean men who saw a Bigfoot-like creature step aboard a UFO and zoom away. It's Fascinating! Another interesting theory is that humans actually developed on another planet, brought here or migrated here and lost touch with their history. 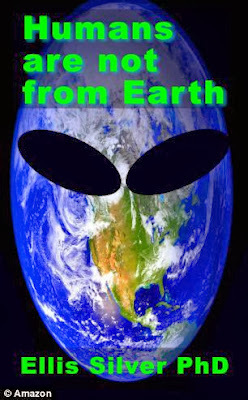 A new book was recently published by author Dr. Ellis Silver simply titled, Humans Are Not From Earth. In the book, Silver's theory points out many human traits that could indicate we don't naturally belong on Earth. Traits consisting of back pain, sun burn, a disliking of various natural foods, sensitivity to climate temperatures and our unfortunate ability to inherit or contract diseases. Maybe on the planet we were originally from, we would all feel a lot healthier? Well, that's what American ecologist Dr. Ellis Silver believes. but when I googled Dr. Ellis Silver, I found nothing but info on his book. This article refers to Silver as a "he" and that is basically all I know. Really, for all I know "he" could be an alien... If anyone finds any more information on Dr. Silver, please share.